The latin name of Carnation is Dianthus caryophyllus, which means Heavenly flower, or the flower of Jupiter. Traditionally carnations express love, fascination, and distinction. Carnations are the traditional first wedding anniversary flower, and they are the national flower of Spain, Monaco, and Slovenia. 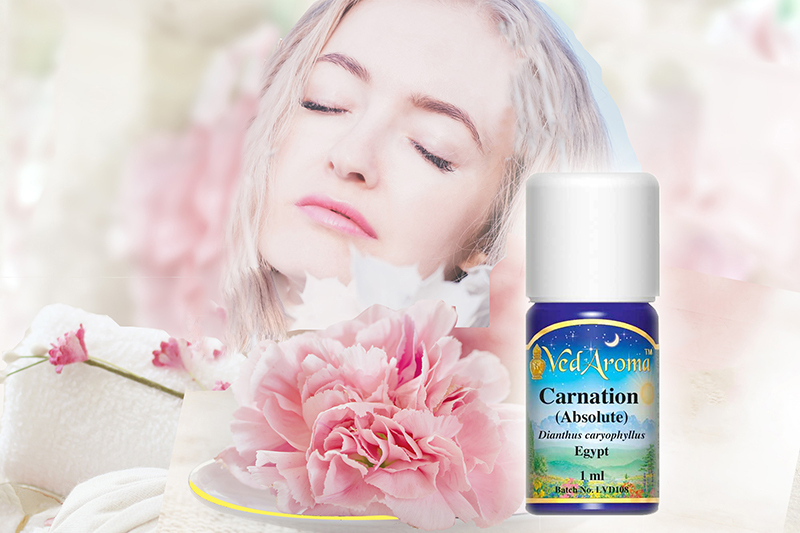 MAHARISHI AROMA THERAPY SERIES #46: Learn in this video about the healing properties and application of Carnation, Absolute. Subscribe to our Newsletters to watch this video series, and indicate in the comments field if you would like to watch a video on Carnation Aboslute or any other Essential Oil. AROMA: Delicate, floral, spicy, honey-like fragrance.